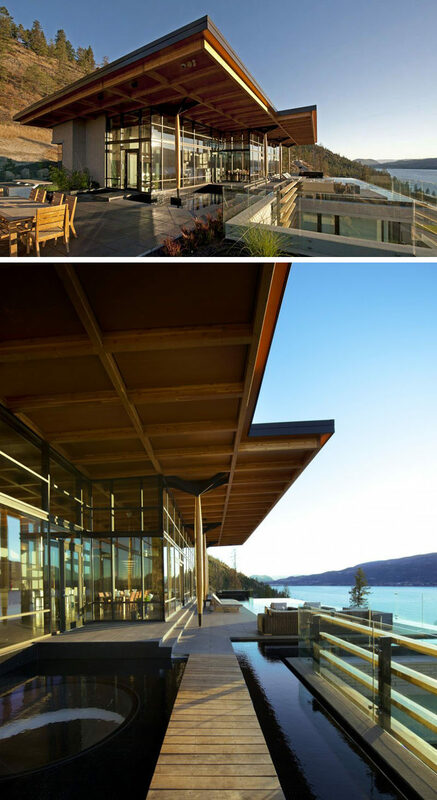 With its unique climate and landscape, it makes sense that the Pacific Northwest would have a distinct style of architecture. 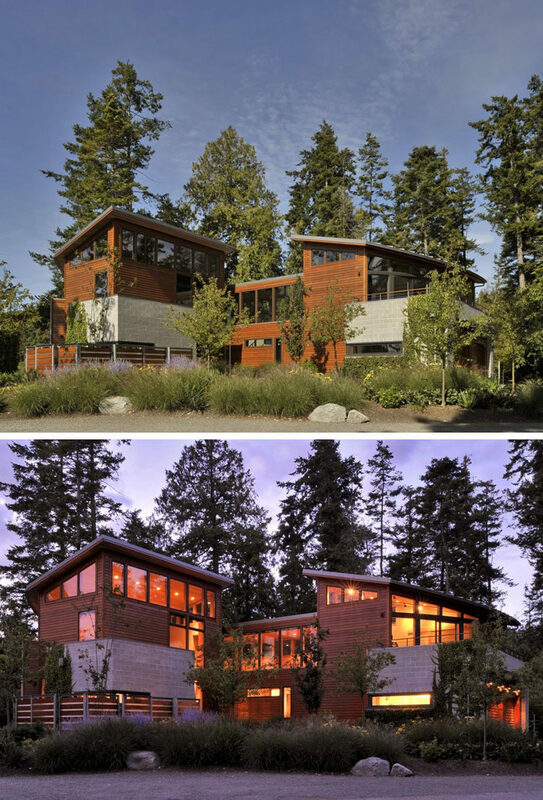 Wood siding that carries on from where concrete foundation slabs end, post and beam structures, deep overhanging eaves, and large south facing windows are common characteristics found on homes in the Pacific Northwest. Each feature functions to take advantage of the climate and makes the most of the beautiful landscapes. 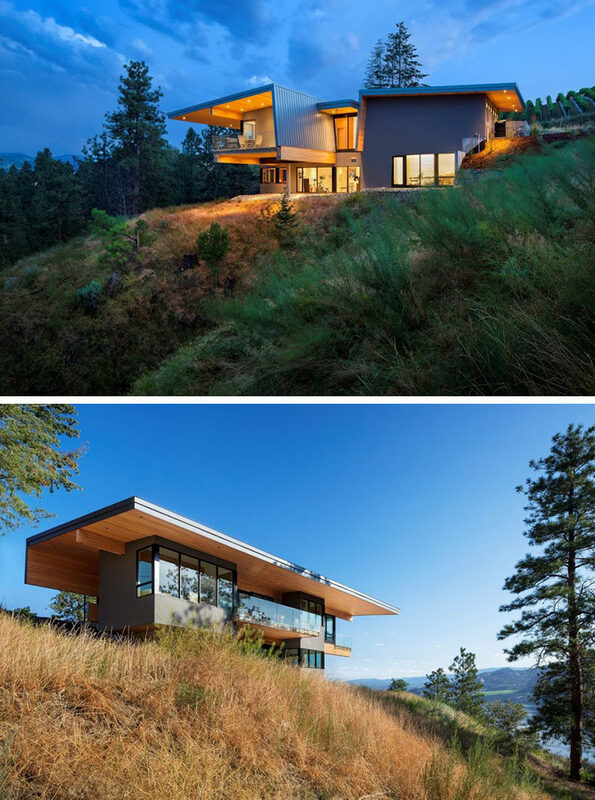 Here are 20 examples of homes in the Pacific Northwest that exemplify the common architectural features of contemporary homes in the region. 1. 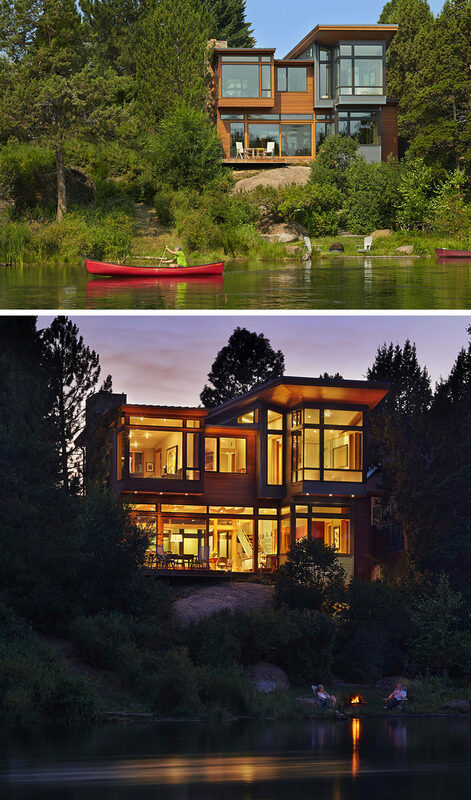 The large windows on this house appear rise up out of the trees and the rocks on the edge of a river in Oregon. See more photos of this home, here. Designed by FINNE Architects. Photography by Benjamin Benschneider. 2. Wood shingles on the side of this home protect it from the elements and help it blend into its environment. See more photos of this home, here. Designed by Heliotrope Architects. Photography by Sean Airhart Photography. 3. Gray-colored stucco that looks like concrete, clads the exterior of this home giving it an industrial feel, while large windows take in the views and deep over hangs protect it from the rain. See more photos of this home, here. Designed by Prentiss + Balance + Wickline Architects. Photography by Steve Keating. 4. The over hanging eaves on this home expose the wood detailing. 5. 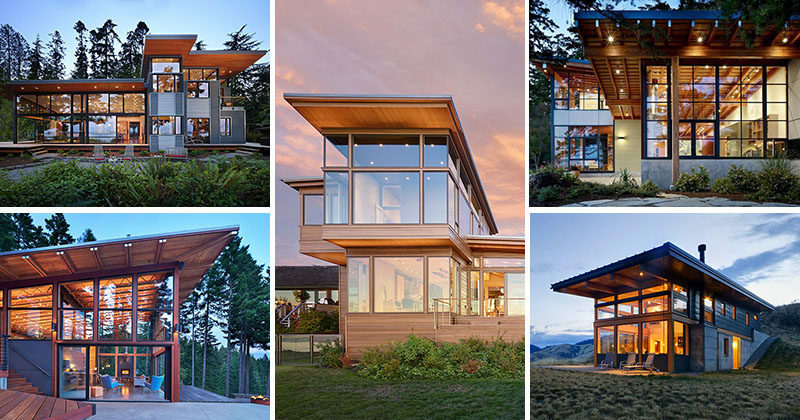 This home takes advantage of views of the ocean and the mountains and features many of the common characteristics of Pacific Northwest structures. See more photos of this home, here. Designed by mw|works architecture+design. Photography by Jeremy Bittermann. 6. 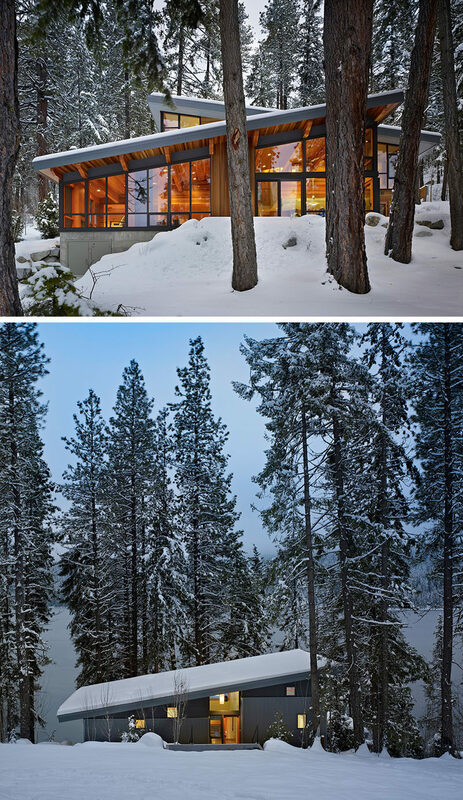 A wood beam structure, visible concrete foundation, and huge windows give this forest home a very west coast feel. See more photos of this home, here. Designed by Miller Hull. Photography by Benjamin Benschneider. 7. Walls of windows let light flood into this forest home. See more photos of this home, here. Designed by FINNE Architects. 8. Heavy use of wood and steel protect this house from the elements and large windows take advantage of the views of the surrounding landscape. See more photos of this home, here. Designed by Johnston Architects. Photography by Benjamin Benschneider. 9. This simple home, with it’s wood siding, over hanging eaves, and large windows, shows that the Pacific Northwest style can be achieved on a smaller scale as well. See more photos of this home, here. Designed by Scott Edwards Architecture. Built by Hammer & Hand. 10. This house has been designed with a curved roof to direct rain water and has been partially elevated to make sure that water doesn’t damage the home. 11. Built into the slope of the hill, this home has exposed beams that run the length of the home. See more photos of this home, here. Designed by Prentiss + Balance + Wickline Architects. Photography by Steve Keating Photography. 12. Large windows keep this house feeling connected to the surrounding forest. See more photos of this home, here. 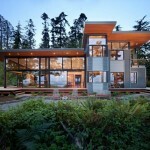 Designed by DeForest Architects. Photography by Benjamin Benschneider. 13. Wood siding and concrete bricks create a contrast on the exterior of this Pacific Northwest home. See more photos of this home, here. 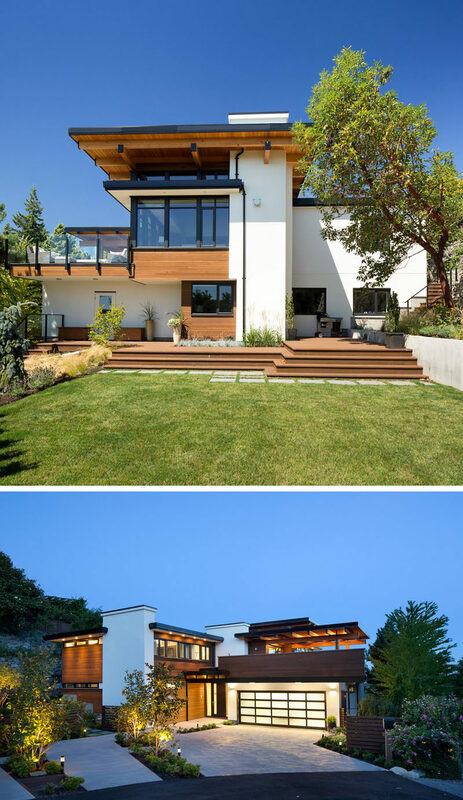 Designed by David Vandervort Architects. Photography by Michael Shopenn. 14. The combination of the white paint, exposed wood beams, light wood, and dark metal give this home a bright modern look. See more photos of this home, here. 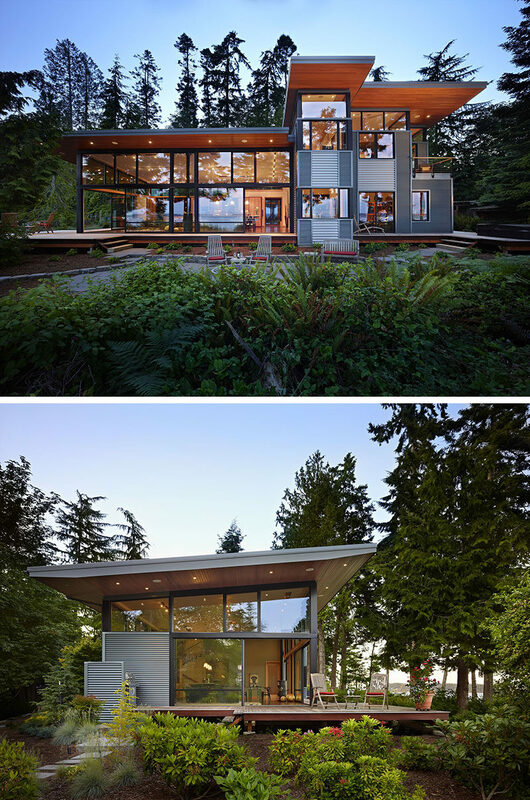 Designed by Kallweit Graham Architecture. Built by Naikoon Contracting. Photography by Ema Peter Photography. 15. 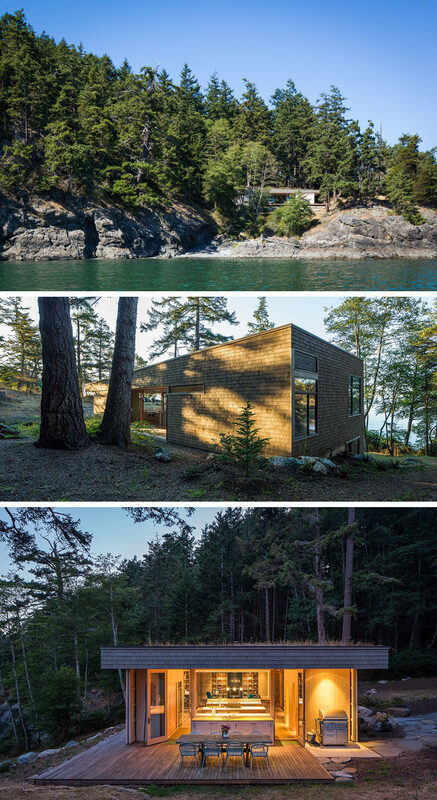 Built into the rock with deep eaves and large windows, this coastal home gets to enjoy both the forest and the waterfront views. 16. The wood butterfly roof above the concrete base, coupled with the dramatic lighting, make this Pacific Northwest home look dramatic and modern. See more photos of this home, here. Designed by Frits de Vries Architect Ltd. Photography by Lucas Finlay. 17. Clean lines and right angles create a geometric look while concrete, stone, and wood warm it up and make it feel cozy and inviting. 18. 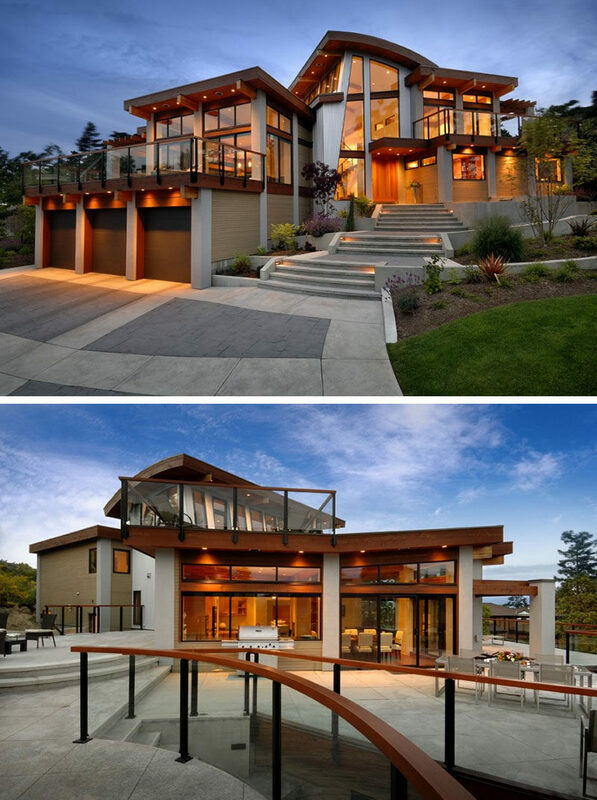 Lots of glass and wood keep this house feeling bright and welcoming. See more photos of this home, here. Designed by CEI Architecture. Photography by Ed White. 19. 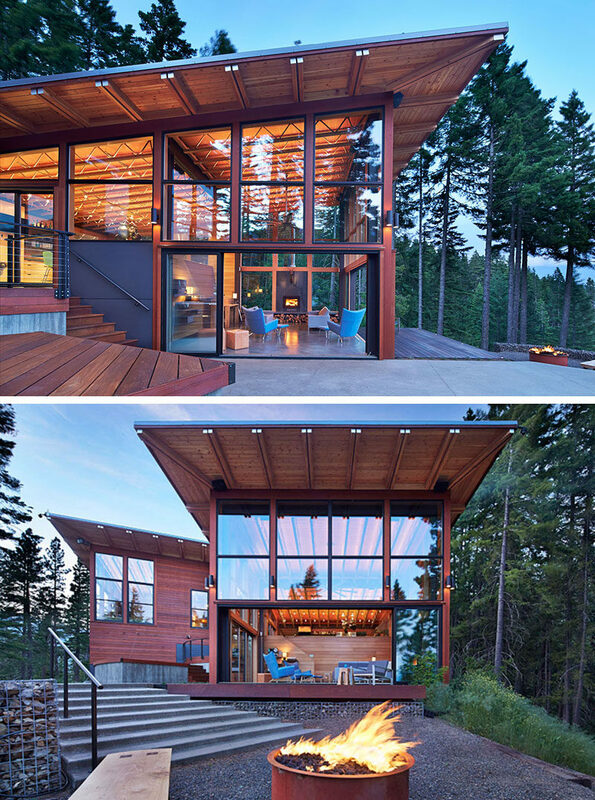 This home in the Pacific Northwest features large windows and a slanted roof that work together to keep the inside of the house naturally bright and protect it from the elements. See more photos of this home, here. Designed by David Tyrell. 20. 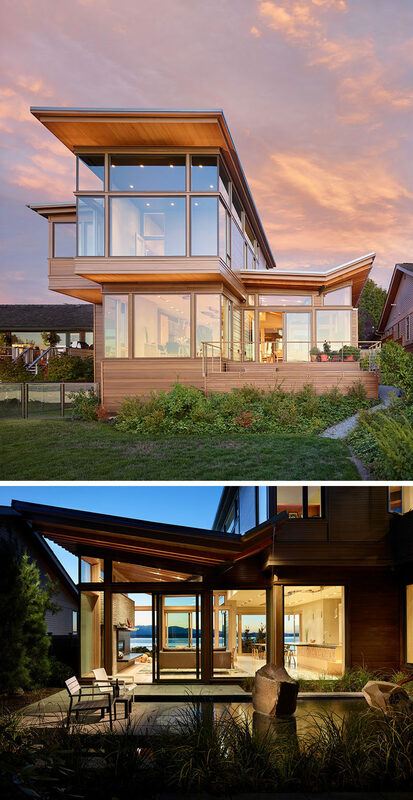 This Canadian house features a combination of wood and concrete, deep over hanging eaves, large glass windows, and a post and beam structure, all of the characteristics you’d expect to find on a contemporary home in the Pacific Northwest. See more photos of this home, here. Designed by Keith Baker.